The DoNotPay lawyer chat bot has expanded his practice from parking tickets to homelessness. 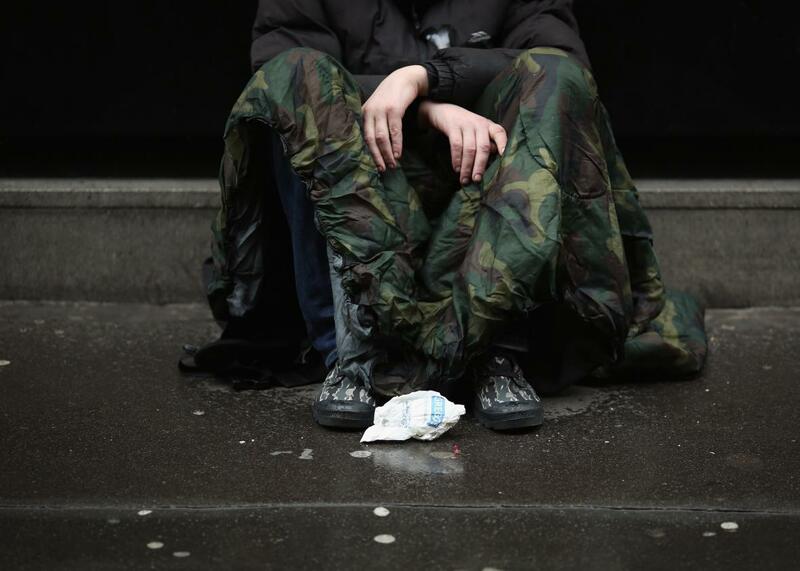 Wayne, a homeless man in London, asks passersby for change. DoNotPay will now help homeless people apply for emergency housing in the U.K.
DoNotPay is essentially a chat bot that asks the user questions to determine what the best course of legal action might be. For instance, it might inquire, of the newly ticketed, whether a sign was visible above the parking space. Or maybe the only nearby lot was too small—it’s unreasonable to ticket drivers for not parking in a too-small lot. Once the user has figured out the basis for his appeal, DoNotPay generates an official letter automatically. The more complicated and delicate cases will likely continue to require a human touch, but DoNotPay may reduce the shame and bother that can come with seeking certain forms of legal aid. With his automated attorney, Browder has bottled the efficiency of statutory expertise, made it convenient to access, and left out the sticky interpersonal stuff. Who—law school grad or otherwise—would object to that?